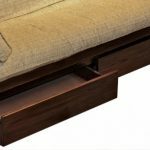 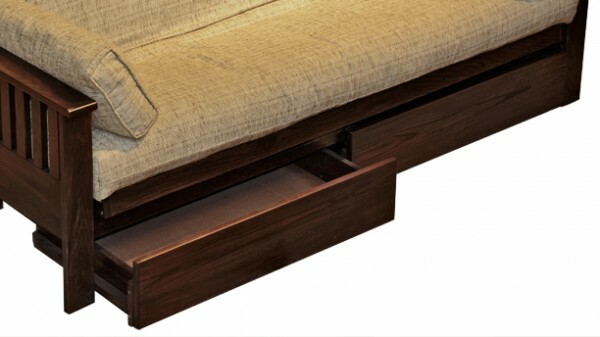 The Turin A futon frame takes less room in width than the Turin L because it opens from the wall towards you. 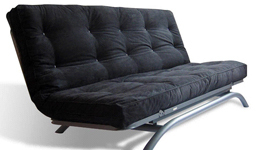 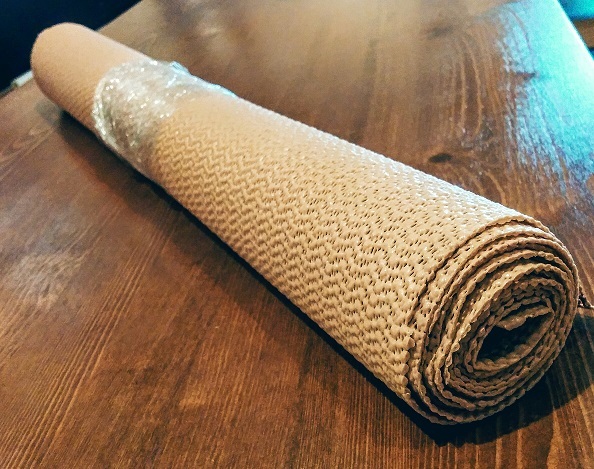 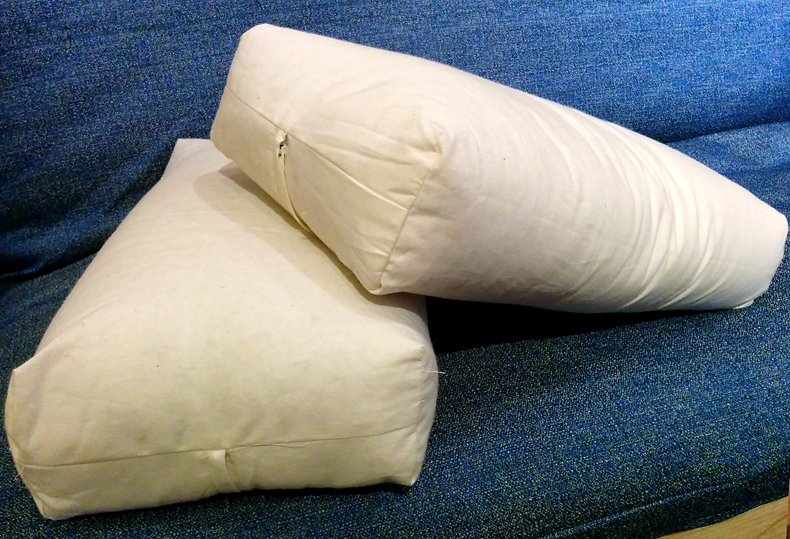 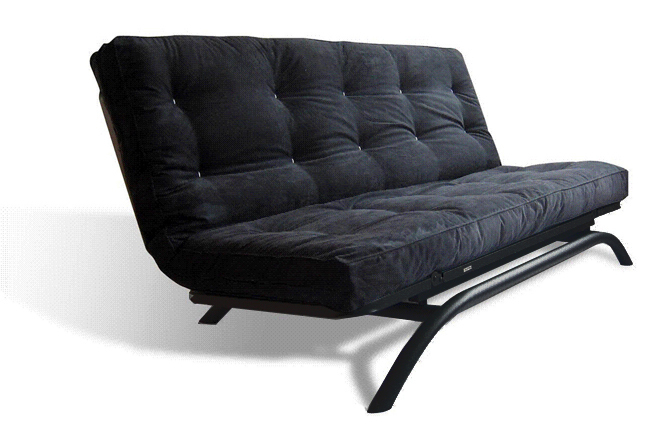 This futon frame can be used with a futon mattress folded on itself but it needs to be thinner, like the Promo futon. 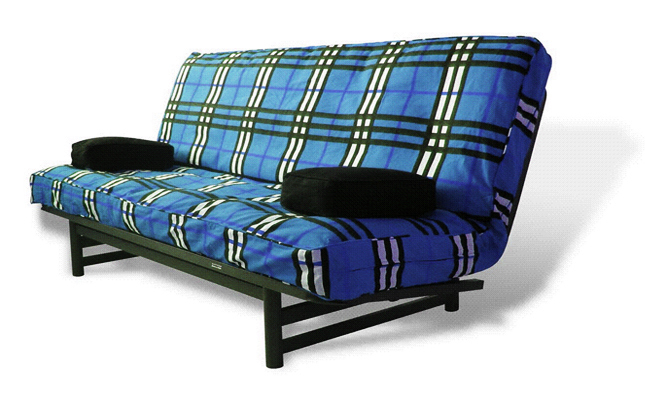 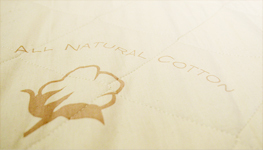 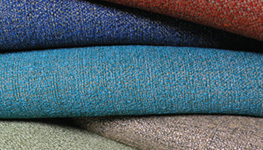 In this case, you need to choose the twin or double version of the futon mattress and fold it on itself. 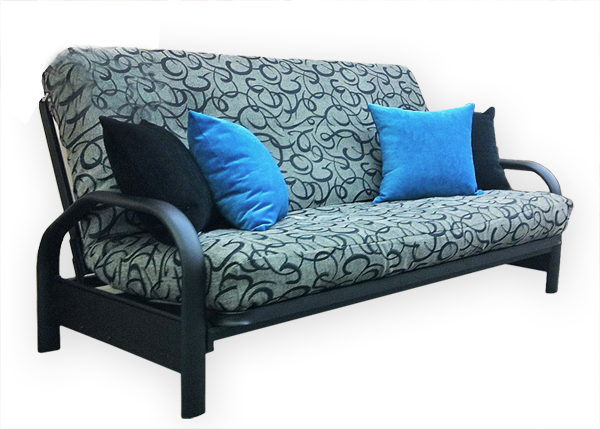 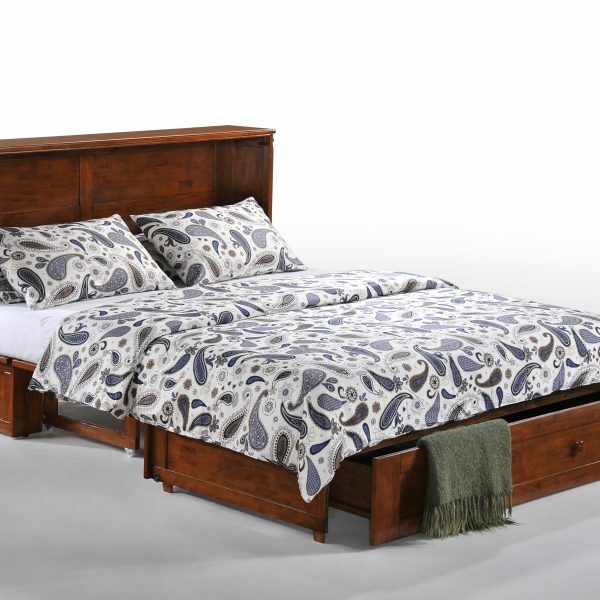 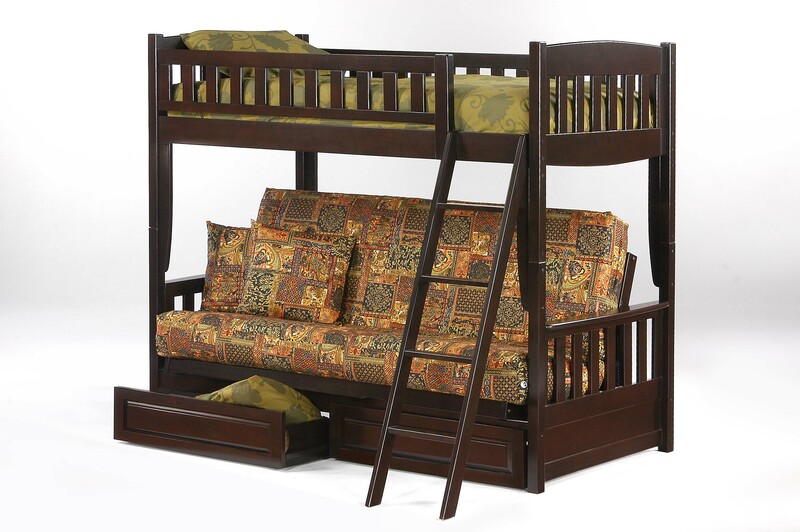 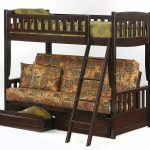 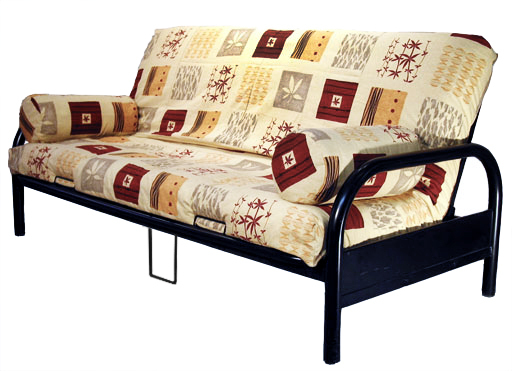 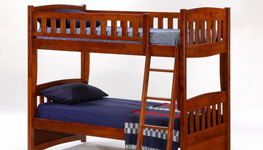 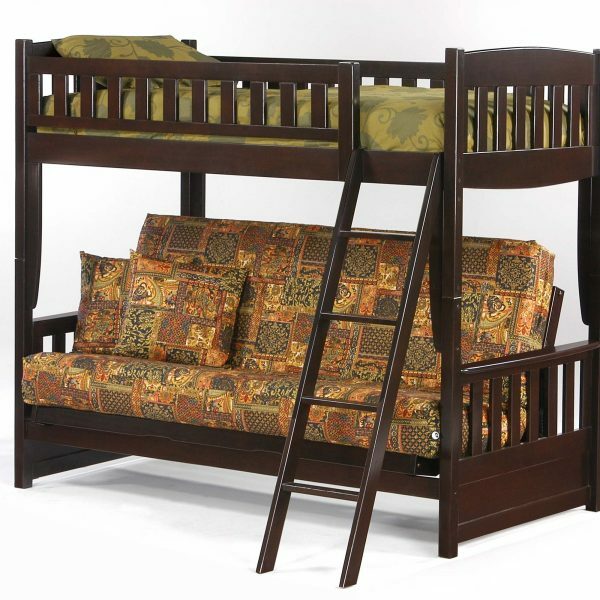 Another option is to use the frame with a futon mattress in the Double or Twin Lounge size; the futon mattress is in two pieces and allows to choose a better quality. 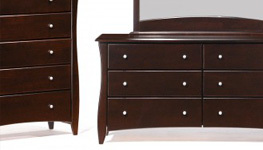 Click on the Dimensions tab for more information on the sizes. 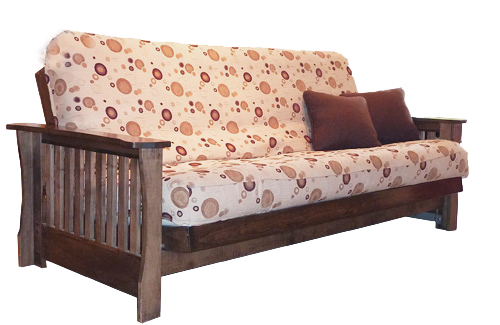 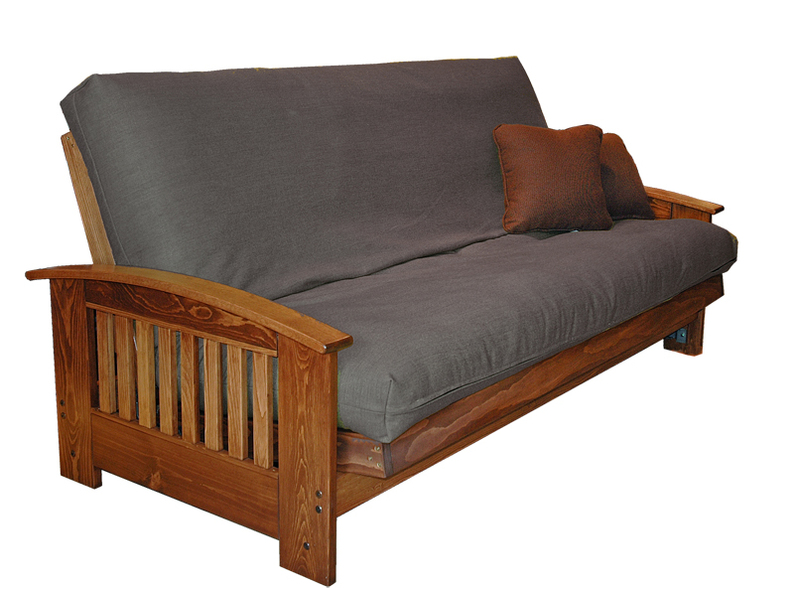 Futon frame made of solid white pine. 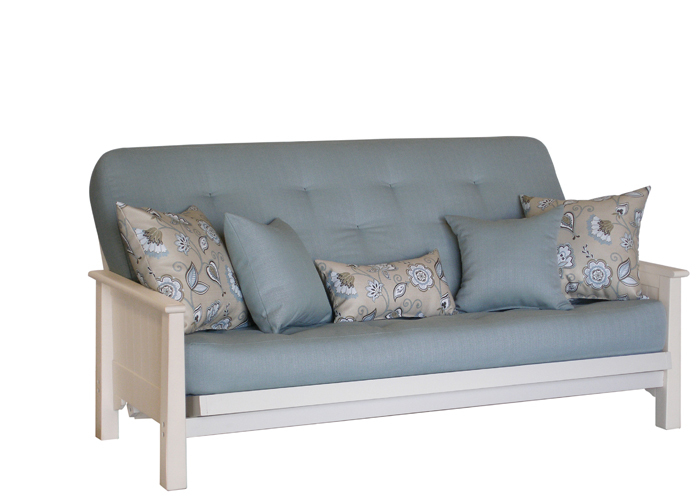 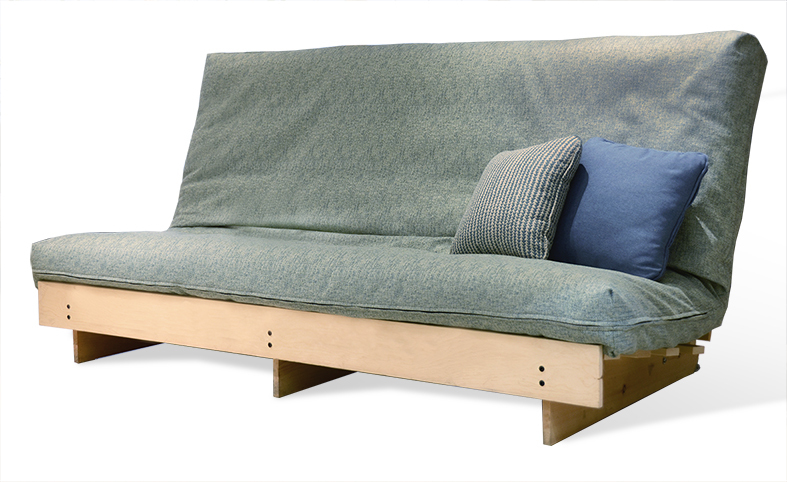 The Maria futon frame is made of solid white pine, top of armrests made of birch. 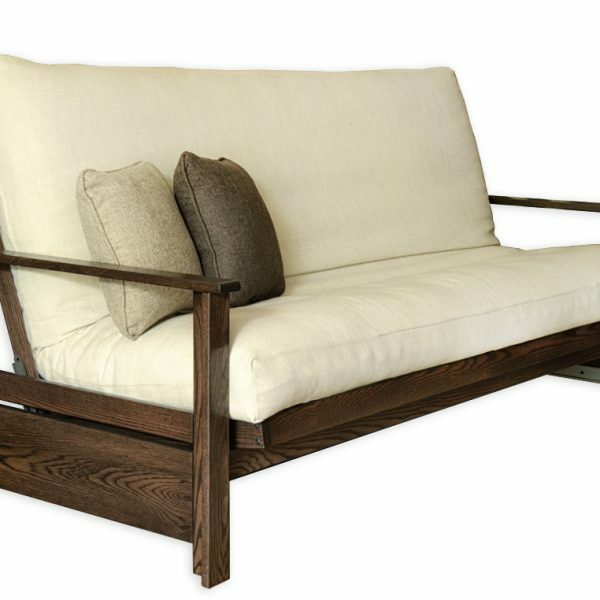 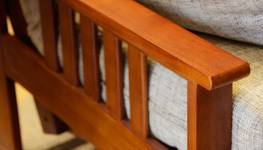 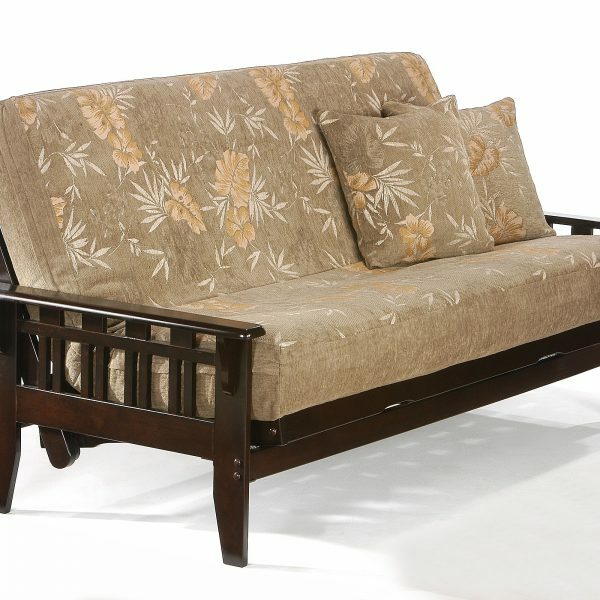 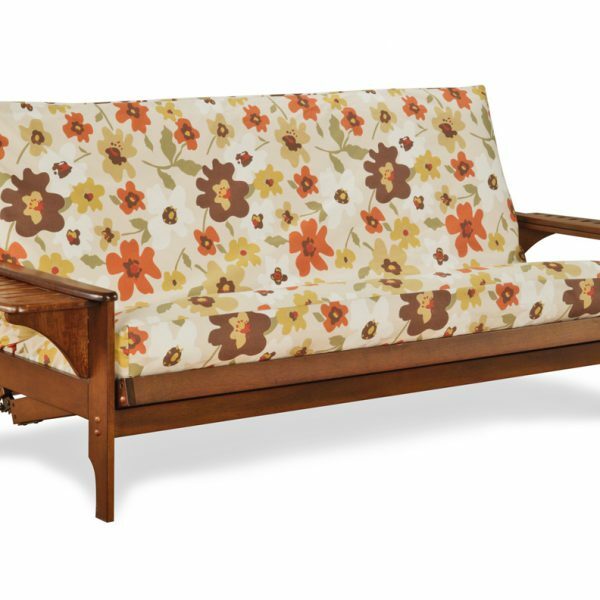 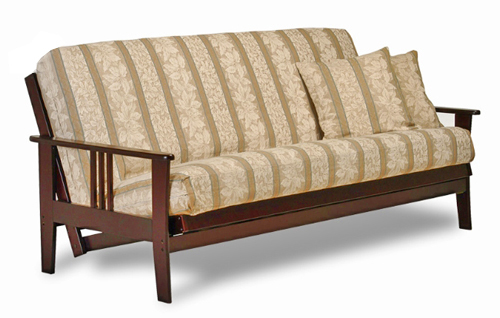 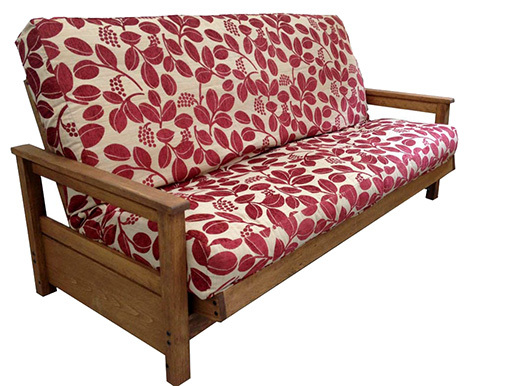 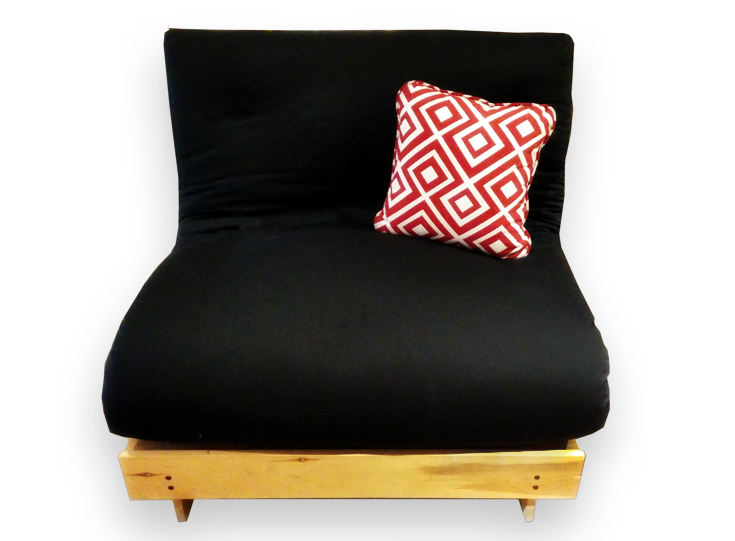 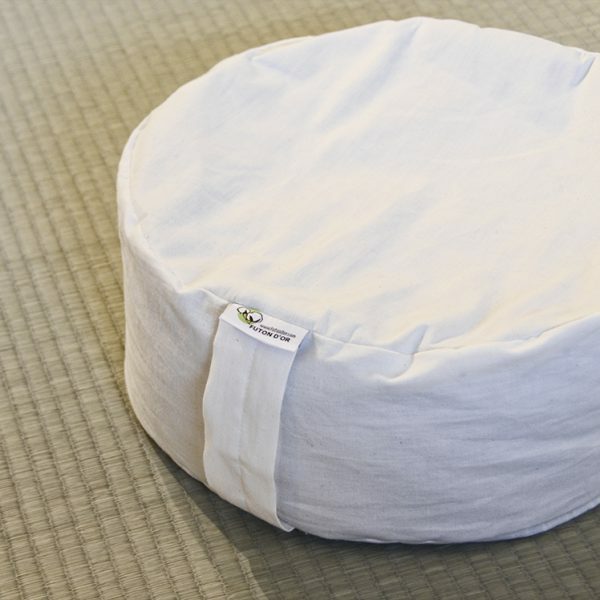 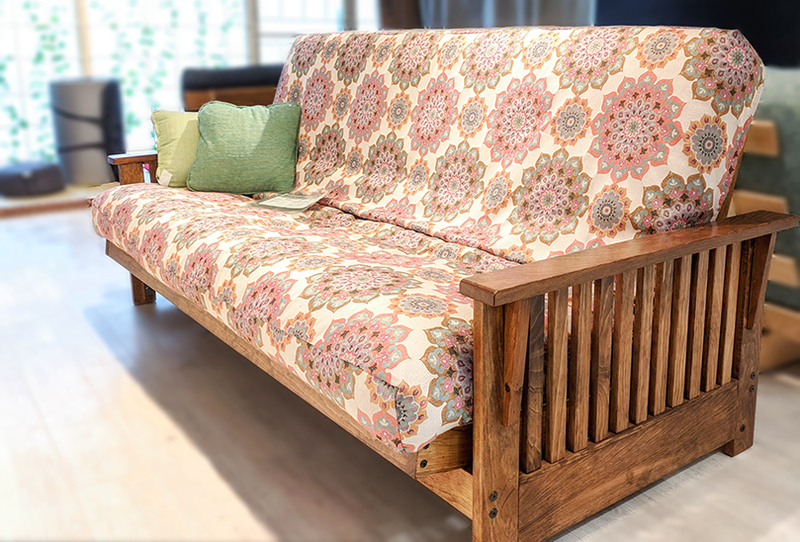 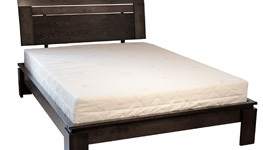 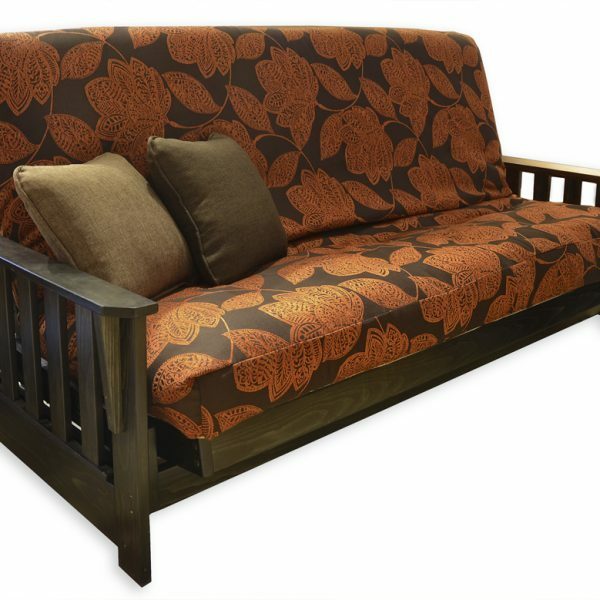 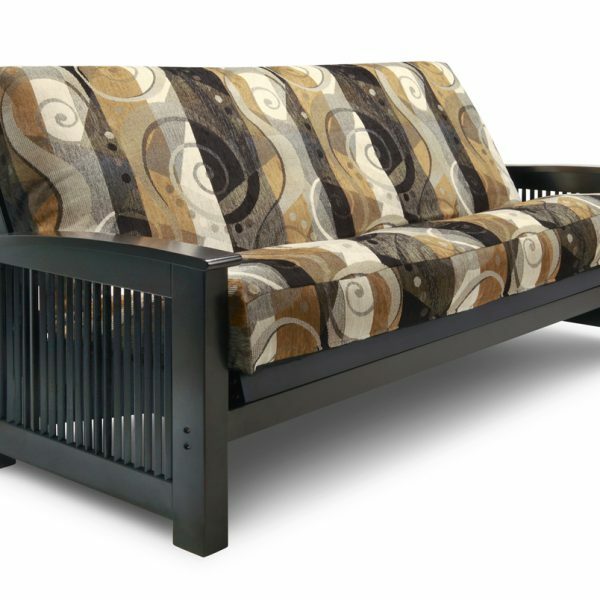 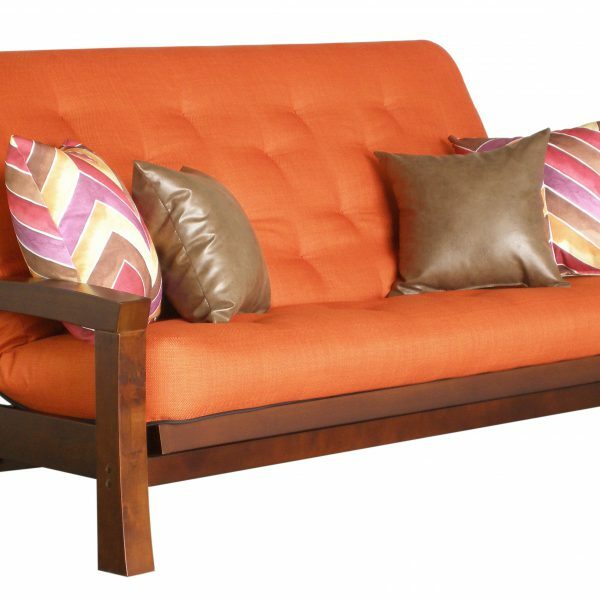 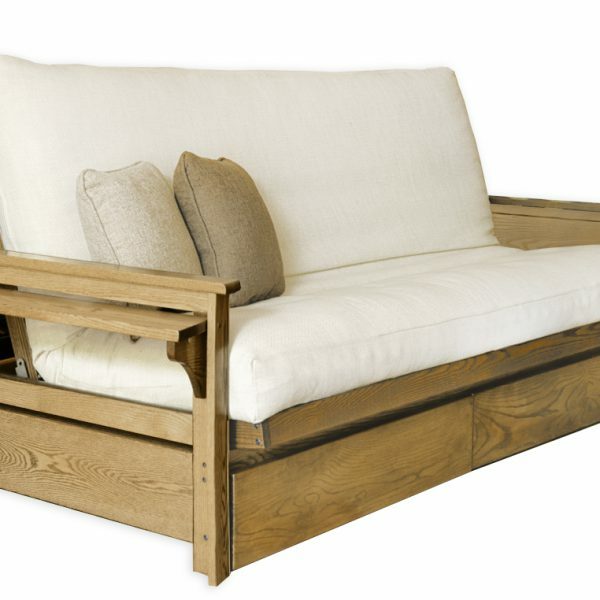 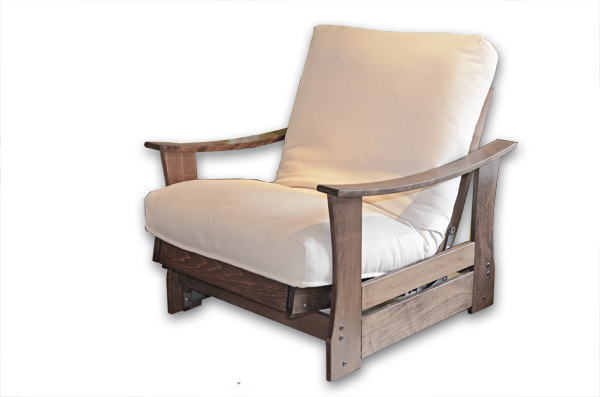 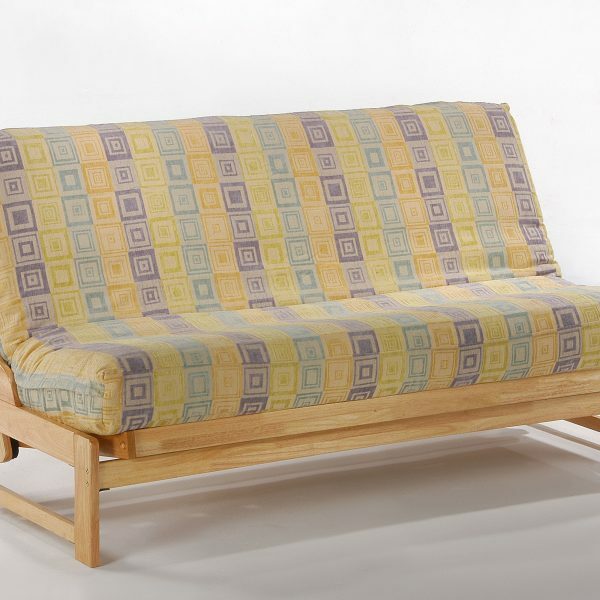 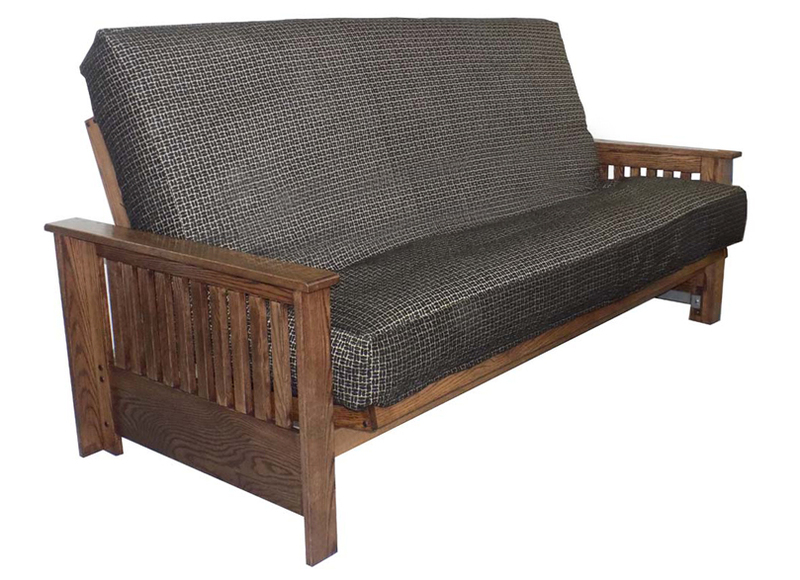 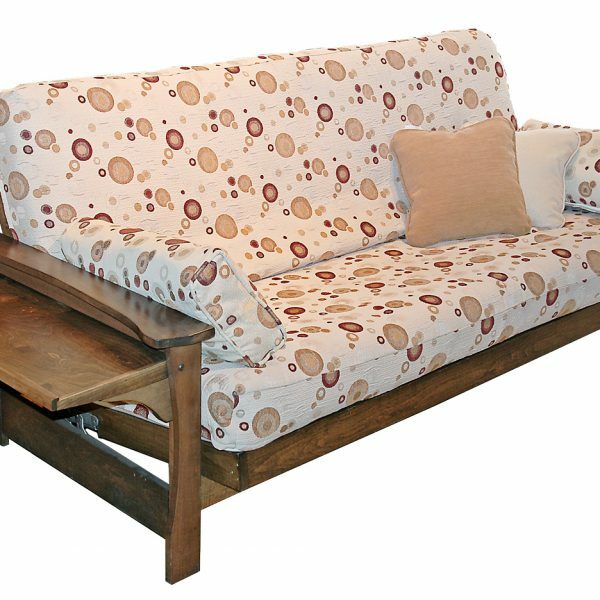 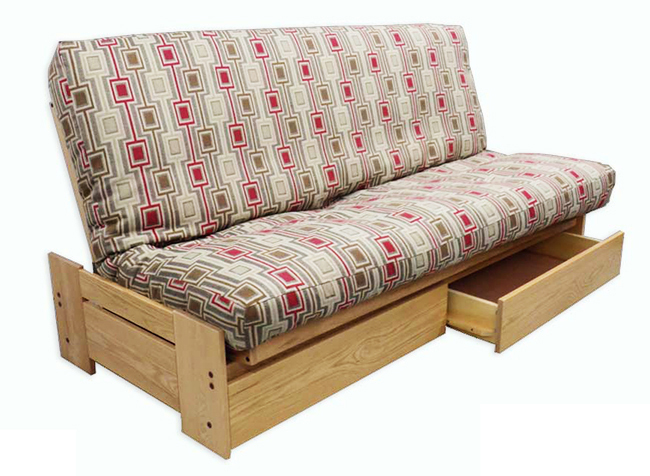 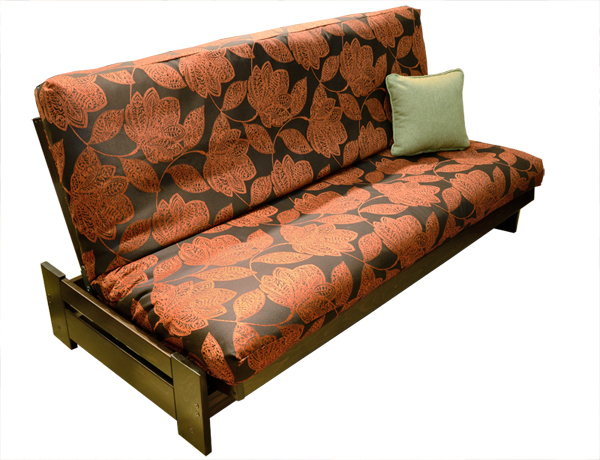 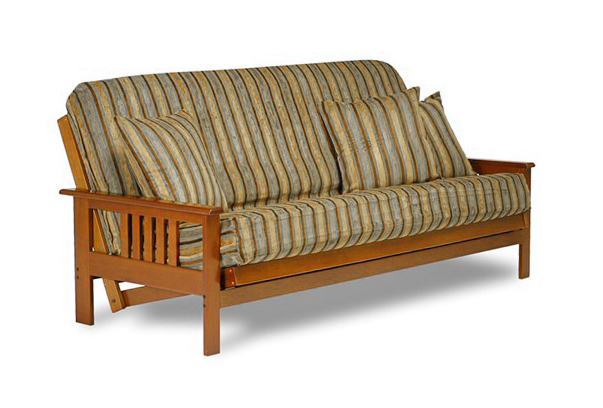 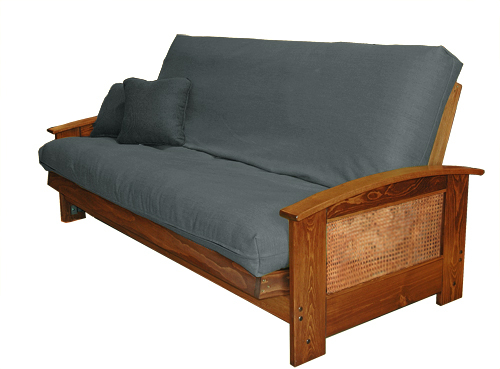 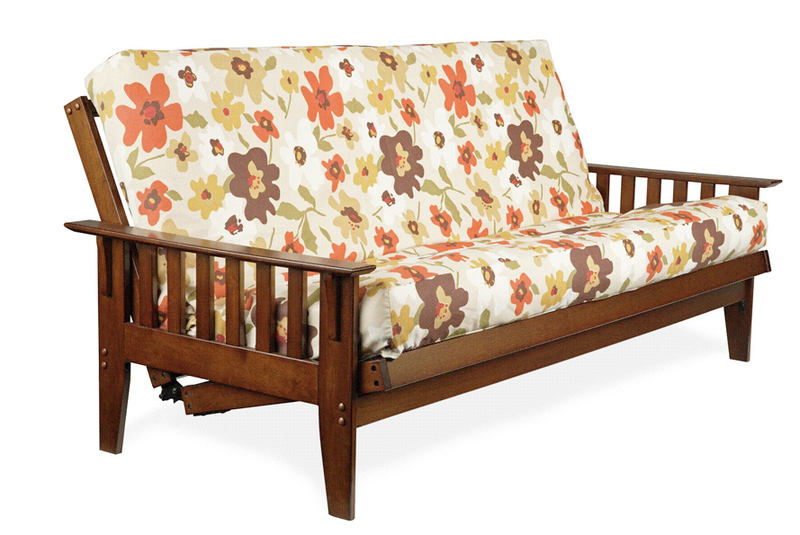 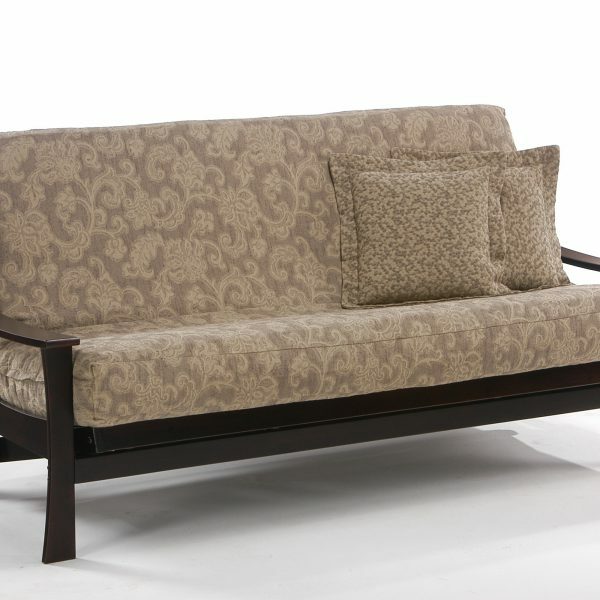 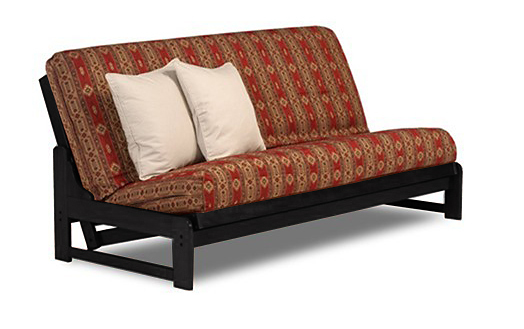 The Asia futon frame is made of solid white pine, top of armrests made of birch. 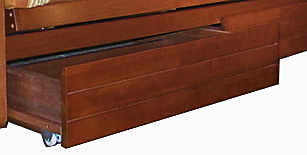 Foldable trays on each side of the frame.